Stamford Bridge, the home of Chelsea Football Club is one of London’s most distinctive and adaptable meetings and events venues. Their spaces are flexible, sophisticated and suitably equipped to deliver the perfect venue for Team building events, meetings and conferences. There is such variety in rooms that would suit our team building activities and team development events. From the Directors’ Lounge, with its sumptuous velvet banquette-seated reception area, six mirror-topped dinner tables and the allure of Chelsea FC’s prized trophy collection, to the pitch side executive boxes with pitch views, there certainly is a place for event at Chelsea Football Club. Their comprehensive delegate packages include refreshments, working lunch, meeting room amenities, stationery and more. 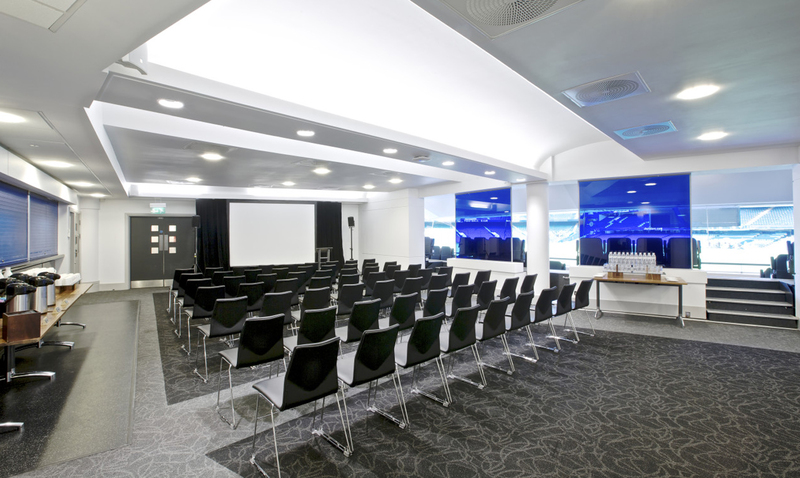 Of course, all of the meeting packages at Chelsea Football Club can also be tailored to suit your individual requirements. Chelsea Football Club, situated in south west London, has flexible spaces, all with natural daylight. Being a football club, the transport links are exceptional and the venue is very easy to access. Ideal for: The Killing, Around the World, Stocks in the City, The Ultimate Team Build, Get in the Zone, Real Life Clu’Doo, No Ordinary Quiz, Murder Mysteries, Big Picture, Christmas Parties and much more!